An interview to the writer of a novel with a PA as a protagonist. 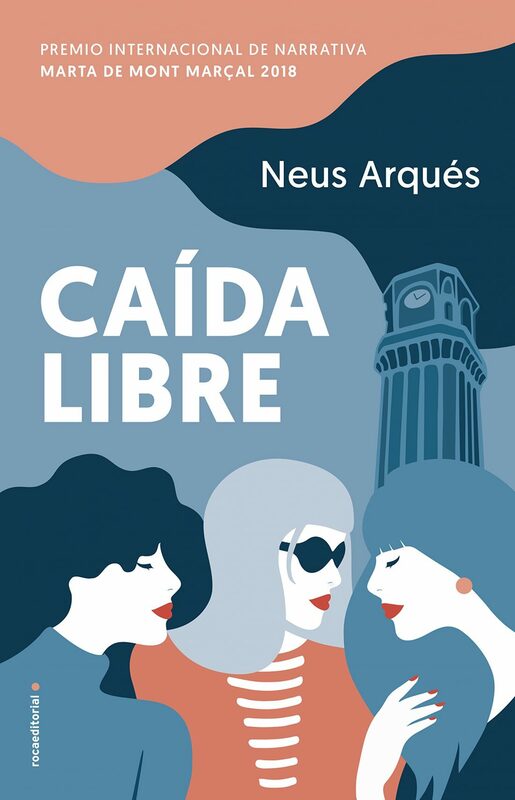 The writer from Barcelona, Neus Arqués has published her book “Caída Libre” (Roca editorial), the intertwined story of three women in a crisis, Ángela, Carolina and Luisa, who live in the neighbourhood of Gracia. Their lives cross one morning, and they are inseparable from then on. “Ingenious, fresh, New Yorker, a book to open minds” is one of the reviews that the novella received from an enthusiastic critic about the story of the three women who are willing to do anything to reach their goals. 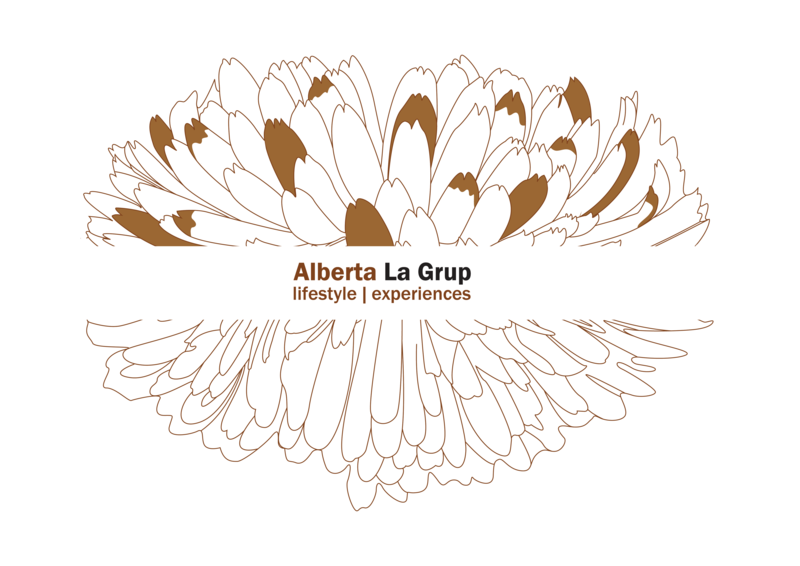 However, on top of a literary recommendation to start the year, with “Caída Libre” we present you with a singular element that is very similar to Alberta La Grup and its team. This element being the character of Mia Símo, a PA who works for a Russian millionaire couple. Mia plays an important role in the plot that links the three characters. Educated, efficient and able to find whatever her demanding clients want in record time, and as she comes from a wealthy family that was ruined, it gives her unique experience when developing her career. We spoke to Neus Arqués about Mia and how she arose in the plot of her novella and the realities of the profession of a PA, linked to the discrete delivery and fascination you feel as you get to know her. How did the character of Mia arise? She arose very organically. I wanted to write about the Barcelona of today, about people who live in the unique neighbourhoods, with different incomes and distinctions. For me to approach people with high economic power, I needed someone who would take me to them. And without a doubt, this person had to be the personal assistant. I knew that in the Barcelona of my novella, there would be a Russian marriage and that the couple would be millionaires. Then arose the couple, and along came their personal assistant. 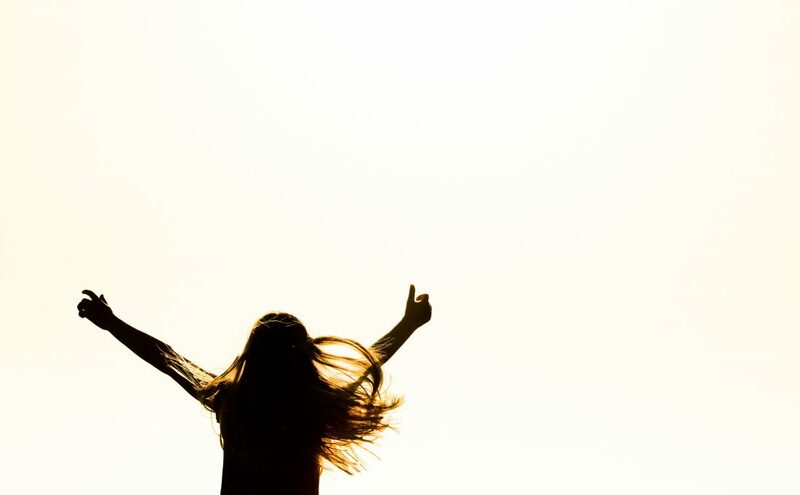 So, you contacted Lourdes Carbó, founder and CEO of Alberta La Grup, an agency of personal assistance services that is dedicated to lifestyle management for people with high wealth. I would not have known what the character would really be like if I hadn’t spoken to Lourdes Carbó. Because although the character is not real, it still has to be believable. I was lucky enough to know Lourdes through a mutual contact, and so I could ask her everything I needed. 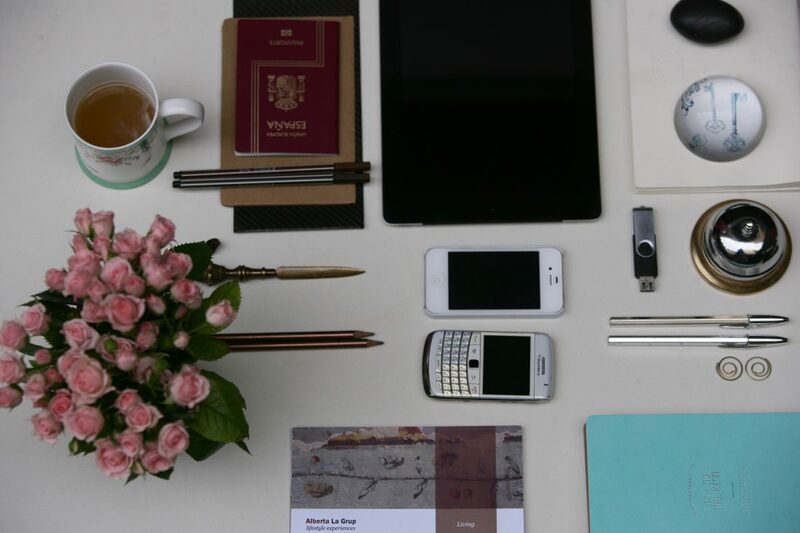 What were your initial ideas about what a Personal Assistant (PA) is? Lourdes helped me a lot because she explained to me in detail what her day to day life is like, what type of services a PA has to carry out, how she works at an international level and how a PA coordinates with other PA´s in different countries, which was all very new to me. I searched it on the Internet. We were speaking for six years, since I started writing my novella. I thought those who openly had PA´s were only people in rock groups. However after speaking to Lourdes, I realized that this idea was not true, that there are actually other profiles too, like people with high economic wealth who rely on these services. How do you see these professionals now? It made me very curious that these professions exist, because if they exist it means there is a demand for them in the market. I have to understand what the new necessary standards of luxury are, and where they are. There is also a contrast between private life and public life. In the past, it would have been impossible for a PA to have a private life; they were the people who were serving a family. Nowadays, maybe the Personal Assistants should be called Professional Assistants, the attention is personal, but the management is professional. Could you see yourself as a PA? I think I would be an appalling PA, it would be costing trying to differentiate between public and private lives and, because you live in the mind of your client, anticipating their needs seems impressive to me. It is a world that I have yet to discover, and I think it is a profession that is clearly going to expand, it will expand exponentially. 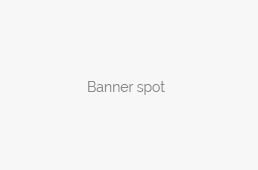 There is a social group that is increasingly becoming more international and mobile with houses in different locations such as London and Dubai. How would you define Mia? I like a lot of things about Mía, and it seems as though the readers do too – she has a fan club. What I like about her is her vocation of service and moral rectitude. She is always morally correct, even in a novella of people who are not. What attracted your attention most about the work of a PA? The thing that attracted and still attracts my attention most about being a PA is the absolute availability. Always attending to any necessities that arise. I think this is priceless and I understand that there are people who hire this type of service. For me, after writing the book and creating the characters, I think that real luxury is simply having a personal assistant. It is gaining time, knowing that there is someone who you can confidently give your tasks to, to save your time, for me that is paradise. Isn´t it a job that requires excessive sacrifices that could lead you to forgetting about yourself? This is not the case with Mía. She is very professional, yet very self-aware. It does not happen to her, although I do not know enough PA´s to know if it actually happens or not in real life. Where is Mia from, her vital trajectory? She is a young ambitious PA, who comes from a family that had everything but lost it all. And so, she is willing to serve and has acquired competence of dealing with wealthy people from her family. She takes advantage of this knowledge that she has to some extent. After seeing the reader’s reactions, it is clear that Mía needs her own novella. In fact, I think this will be my next book because I need to share what is happening to her. In “Caída Libre” she is not the protagonist so her story is not developed enough and I think the readers want to know more. They couldn’t even imagine that such a profile exists, and because of this I thought it was even more important to include it. It has created so much interest. I think everyone likes her. I like her, and that is not something I can say about all of my characters. You say that she will be the protagonist of your new book. Where do you see her? Travelling? All my novellas take place in Barcelona, so at the moment I cant be sure that the next one wont. She does live in the city so it must begin in Barcelona, especially as this is where we have left it. Maybe later on she will travel. Neus Arqués Salvado (Barcelona, 1963) is the author of the novellas “Un hombre de pago”, “Una mujer como tú” y “Todo tiene un precio”, of various communication manuals and of the “Vive 50” essay where she plants the vital autobiography of the crisis of being in your fifties, which is referenced in “Caída Libre” through the character of Ángela, her protagonist. She is a lecturer and professor of Communication and Personal Branding at the School of Books (Universidad de Barcelona – Gremi de Llibreters), Barcelona School of Management and Universidad Rovira i Virgili. She is a teacher specializing in visibility management, who is considered as one of the 35 most influential Spanish people on the Internet. 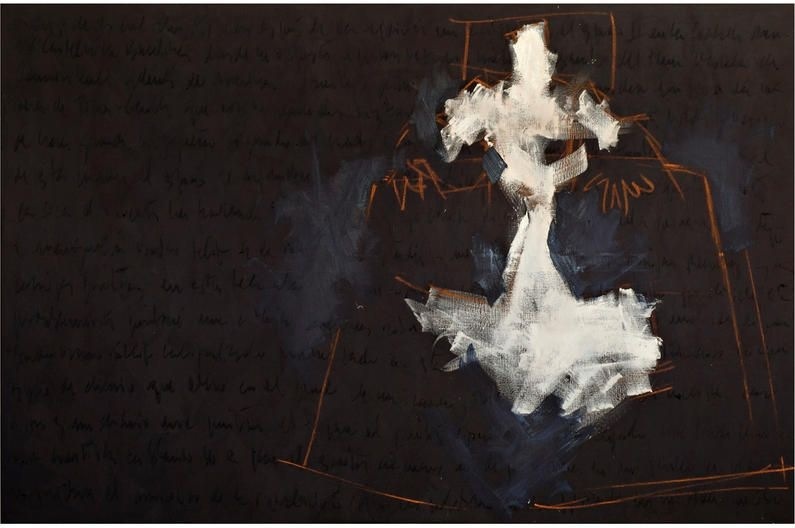 She is also particularly interested in the theme of invisibility in women and writers. If you wish to re-print this article or photos, that’s fine. Just include the biography at the end of the article. Entrevista a la escritora autora de la novela con un PA como protagonista. La escritora barcelonesa Neus Arqués ha publicado su nueva novela, “Caída libre” (Roca ed. ), la historia entrelazada de tres mujeres en crisis, Ángela, Carolina y Luisa, que viven en el barrio de Gracia. Sus vidas se cruzan una mañana y, a partir de entonces, no se separan. Ingeniosa, fresca, neoyorquina, un libro para abrir mentes son algunos de los calificativos que ha recibido de una crítica entusiasta esta novela sobre la historia de tres mujeres dispuestas a todo por alcanzar sus metas. Pero, además de una recomendación literaria para empezar el año, con “Caída libre” les proponemos una novela con un elemento singular que tiene mucho que ver con Alberta La Grup y su equipo. Ese elemento es el personaje de Mía Simó, una PA que trabaja para un matrimonio de rusos millonarios. Mía juega un papel importante en la trama que une a las tres protagonistas. Culta, eficaz, capaz de encontrar en tiempo record lo que sus exigentes clientes demandan, procede de una familia acomodada que se arruinó, lo que le da una experiencia muy particular a la hora de desarrollar su trabajo. Hablamos con Neus Arqués de Mía, de cómo surgió en la trama de su novela y de cómo esta profesión, ligada a la entrega y a la discreción, la fascinó a medida que iba conociendo más sobre ella. ¿Cómo surge el personaje de Mia? Surge de forma muy orgánica. Yo quería escribir sobre la Barcelona de hoy, sobre gente que vive en distintos barrios, con muchos contrastes, con rentas distintas. Para acercarme a los personajes de alto poder adquisitivo, necesitaba un personaje que me llevara hasta ellos, no podían aparecer sin más. Y ese personaje, sin duda, tenía que ser su asistente personal. Yo sabía que en la Barcelona de mi novela iba a haber un matrimonio ruso y que este matrimonio iba a ser millonario. Surge el matrimonio y surge su asistente personal. Entonces te pones en contacto con Lourdes Carbó, fundadora y CEO de Alberta La Grup, agencia de servicios de atención personal, dedicada a la gestión de estilo de vida para grandes patrimonios. No conseguía ver la manera de que el personaje fuera verosímil hasta que no hablé con Lourdes Carbó. Porque el personaje puede que no sea cierto, pero tiene que ser creíble. Tuve la suerte de conocer a Lourdes, a través de un contacto común, y entonces le pude preguntar todo lo que necesité. ¿Qué idea tenías al principio sobre lo que es un Asistente Personal (PA)? Lourdes me ayudó muchísimo porque me explicó con detalle cómo es su día a día, qué tipo de servicios puede asumir un PA, cómo trabaja a nivel internacional, como un PA se coordina con el PA de otro país, para mí todo esto era muy novedoso. Yo había hecho una investigación en Internet. Estamos hablando de hace seis años, que es cuando empecé a escribir la novela. Los que tenían PA de forma abierta eran los grandes grupos de rock. Después de hablar con Lourdes me di cuenta de que esta idea no era cierta, que había otros perfiles, como el de personas con un gran poder adquisitivo que pueden apoyarse en estos profesionales. ¿Cómo ves ahora a estos profesionales? Me produce una enorme curiosidad que estos perfiles existan, porque si existen es porque hay una demanda en el mercado. Hay que entender cuáles son las necesidades del nuevo lujo y dónde está. Está también la dicotomía entre la vida privada y la vida pública. En el pasado, era impensable que el PA tuviera vida privada, eran las personas que estaban al servicio de una familia, las damas de compañía. Hoy quizá más que Personal Assistant estos profesionales deberían llamarse Professional Assistant, es personal la atención, pero profesional la gestión. ¿Te verías ejerciendo de PA? Creo que sería una pésima PA, me costaría mucho diferenciar entre lo personal y lo profesional y anticipar, porque vives en la mente de tu cliente y anticipas, esto me parece impresionante. Es un mundo que hay que descubrir. Y creo que es un perfil que va a ir en aumento claramente, va a crecer de forma exponencial. Hay un grupo social cada vez más internacional y más móvil y con casas en lugares diferentes, como Londres y Dubai. De Mía me gustan muchas cosas y parece que a las lectoras también. Tiene un club de fans. Me gustan de ella la vocación de servicio y la rectitud moral. En una novela en la que hay personajes que no son muy morales, ella siempre lo es. ¿Qué es lo que más te llamó la atención del trabajo de un PA? Lo que más me llamó y me llama la atención es la total disponibilidad. La predisposición a estar siempre atentos a cualquier necesidad que pueda surgir. Yo creo que eso no tiene precio y entiendo que haya personas que contraten este tipo de servicios. Para mí, después de haber escrito el libro y creado este personaje, el lujo simplemente es tener un asistente personal. Es ganar tiempo, saber que otra persona de confianza puede asumir tareas que te quitan tiempo, para mí eso es el paraíso. ¿No es un trabajo excesivamente sacrificado que puede llevar a olvidarse de uno mismo? No es el caso de Mía. Es muy profesional, pero tiene mucha conciencia de sí misma. No le pasa, aunque no conozco suficientes PA para saber si eso sucede o no. ¿Cuál es el origen de Mia, su trayectoria vital? Es una PA joven, ambiciosa, viene de una familia que lo tuvo todo y lo perdió, y entonces a ella le queda la voluntad de servicio y la competencia adquirida con su familia del trato con personas pudientes. Ella saca partido, en cierta manera, de ese conocimiento que tiene. Viendo la reacción de las lectoras queda claro que Mía se merece su propia novela. De hecho, creo que va a ser mi próximo libro, porque necesita compartir lo que le está pasando. En “Caída libre” ella no es la protagonista y su historia no se despliega lo suficiente. Y yo creo que las lectoras quieren saber más. Los lectores no pueden ni siquiera imaginar que exista un perfil así, por eso yo creo que es necesario darlo a conoce. Ha creado muchísima curiosidad. Yo creo que les cae bien, a mí me cae bien y es algo que no puedo decir de todos mis personajes. Me dices que es el personaje protagonista de tu próxima novela. ¿Dónde la ves? ¿Viajando? Todas mis novelas se desarrollan en Barcelona, y no puedo asegurar todavía que esta próxima se desarrolle enteramente en Barcelona, pero sí que ella vive aquí y que, al principio, estará aquí que es donde la hemos dejado. Luego quizá viaje. Neus Arqués Salvado (Barcelona, 1963) es autora de las novelas “Un hombre de pago”, “Una mujer como tú” y “Todo tiene un precio”, de diversos manuales de comunicación y del ensayo “Vive 50” donde plantea en clave autobiográfica la crisis de los cincuenta, que retoma en “Caída libre” de la mano de Ángela, su protagonista. Es conferenciante y profesora de Comunicación y Marca personal en Escola de Llibreria (Universidad de Barcelona – Gremi de Llibreters), Barcelona School of Management y Universidad Rovira i Virgili. Está considerada una de las 35 españolas más influyentes en Internet. Es profesora especializada en Gestión de la visibilidad. Le interesa especialmente el tema de la invisibilidad de las mujeres y de los escritores.